A shoulder brace is a tool intended to assist the shoulder by supporting the muscles through load sharing from the chest area opposite of the upset shoulder. This brace generally consists of elastic straps that support the injured shoulder by wrapping the arm and chest, thus extending support on the injured shoulder throughout the upper body. The shoulder brace is a device used for avoiding future dislocations in the shoulders. When an individual suffers shoulder injury due to dislocation, a shoulder brace can be used for supporting the shoulder socket area, which can reduce some distress. 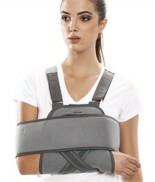 This brace securely compresses the shoulder area, which adds support. When an individual strains the shoulder part, the shoulder brace is a helpful tool for providing rest and support to the injured area, which will allow enough time for healing. Shoulder injuries are a frequent problem with athletes and elder individuals. These injuries may range from simple strains to complex dislocations and old ligaments. The shoulder brace can help prevent additional injury, such as any further strain on an injured ligament that could lead to a full tear. This brace should be considered a tool to assist in the management of pain as well as support for the shoulder muscle area in general. Generally this device is used for less complex injuries that do not require surgical involvement. 1. Shoulder braces work to squash swollen joints and aid in the recovery of swelling. These belts can also take the support of hurt muscles, allowing them to rest and recover faster. A perfect brace will have a close fit and will be sized in several sizes and right or left sides to enable a comfortable fit. 2. Protection of the skin is also be ensured by wearing a shoulder belt. Many of the tendons in the shoulder are quite apparent and the wearing of a brace can protect the skin and superficial tendons from bumps and knocks. 3. Wearing a shoulder brace may also decrease the risk of dislocation by limiting the range that the shoulder is able to move into. 4.Strengthening of the shoulder is also possible while wearing a shoulder belt. Some braces have neoprene straps which offer more resistance as they are taken into more stretch. 1. Tynor Elastic Shoulder Immobilizer C 03:- This elastic Shoulder Immobilizer is a light in weight, sleek and stylish design to offer support in shoulder dislocation and post operative treatment. It decreases arm rotation by positioning the arm close to the carcass. It also has a shoulder cup, which improves the grip, immobilization and confidence of the patient. 2. Flamingo Shoulder Support:- This convenient and portable support system allows the athlete or patient to steadily return to full range of movement. 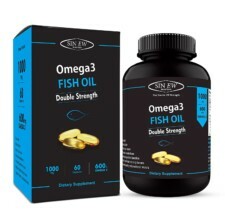 Not just support, it also provides warmth and pain relief in the shoulder joint area. The Shoulder Support is suggested to individuals with problems including swelling, pain or mild instabilities to the shoulder joint. 3. Tynor Universal Shoulder Immobilizer C 02:- Universal Shoulder immobilizer is one of the most commonly used designs to treat and support the disjointed shoulder. This is also beneficial in the fractures of clavicle bone and the shoulder joint where immobilization of the region is required. 4. I-M Shoulder Wrap (OH-116):- is ideal for use in hot weather as it keeps your shoulder and arm well-ventilated. It works by entrapping the injured shoulder in rest position and restricting its movement completely. 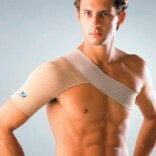 Shoulder supports and braces accelerate the healing of shoulder injuries and guard against further damage. Protecting your shoulder with a support belts can be helpful when you have a muscle strain or other injury. These belts are designed with varying levels of, flexibility compression, breath ability and stability. Shoulder belts assist after injury in a variety of ways which includes supporting the shoulder, as well as compression of the adjoining skin and tissues. The shoulder support is designed to offer warmth and relief to either of your joint. These belts can be worn on both right and left shoulder with same comfort and convenience. It is constructed with soft lining and lightweight material that won’t bulge your arm or lave impression on clothing.